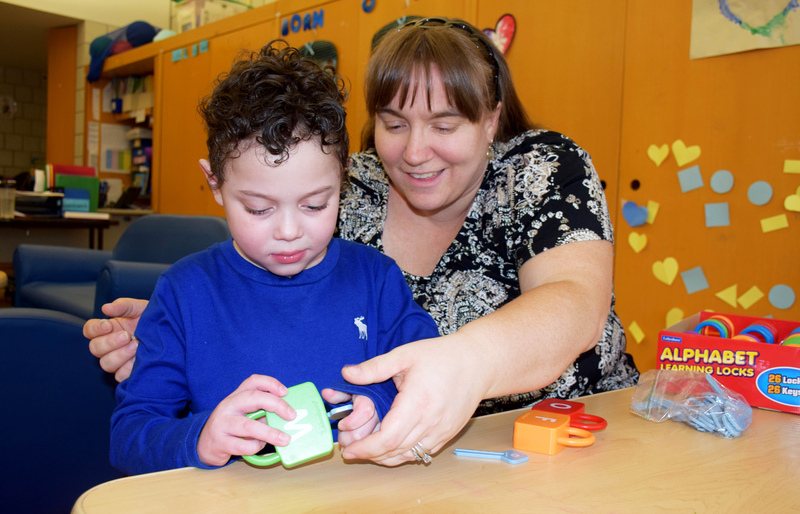 Hiroshy, a Blythedale patient, plays with his teacher in class at Mt. Pleasant Blythedale School at Blythedale Children's Hospital. From the start of his life, Hiroshy and hospitals have gone hand in hand. Born premature at 33-weeks’ gestation in October 2011, Hiroshy was diagnosed with jejunal atresia (an incomplete formation of part of the small intestine), and spent 90 days in the NICU. The newborn underwent numerous reparative surgeries, including the removal of part of his bowels which resulted in short bowel/gut syndrome - a malabsorption disorder caused by a lack of a functional small intestine. Doctors placed a central line and a gastrostomy tube to help with specialized feedings, including total parenteral nutrition (TPN), to ensure he didn’t become malnourished. “As a parent it makes me feel sad, but at the same time, I cannot give up on him or his treatment because I know he needs me,” said Hiroshy’s mom, Lissette. When Hiroshy was five-months old, he was transferred and admitted, for the first time, to Blythedale Children’s Hospital. This would be one of many stays at the Valhalla facility for Hiroshy. Over the next year, Hiroshy received Blythedale’s full spectrum of occupational, physical, speech and feeding therapies, but also battled numerous setbacks which prompted three transfers to acute care hospitals and subsequent readmissions. Finally, in March 2013, he was healthy and strong enough to be discharged from Blythedale, return home and be placed on a transplant list for his small intestine. Recurring medical complications related to his extremely complex condition prompted dozens of acute care hospital stays for Hiroshy over the next few years and subsequent readmissions to Blythedale’s inpatient unit and the Steven and Alexandra Cohen Pediatric Long Term Care Pavilion. Despite Hiroshy’s declining health, his mom remained hopeful. “The first time he was at Blythedale in 2012, he weighed four pounds and left weighing 18 pounds, then they helped us with his feeding therapy and TPN.,” said Lisette. “We came back a few times to try and get rid of the TPN, and have him eat more and get less medication. The Mt. Pleasant Blythedale Union Free School District has also been an important part of the now six-year-old’s interdisciplinary care. 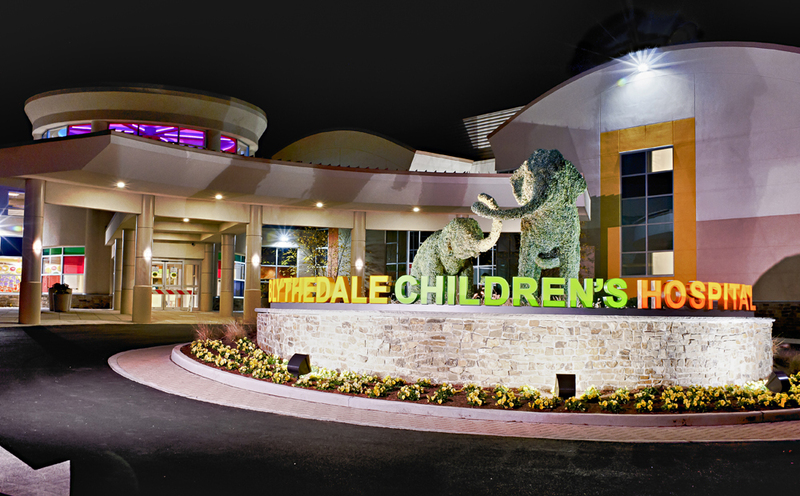 Uniquely created to serve inpatients and Day Hospital patients, Blythedale is the only hospital in New York State with its own public school district on site. As Hiroshy’s condition stabilized, so did his ability to make gains in other important developmental areas. The precocious first-grader is also working on his communication skills, trying to convey his functional needs and wants to his family and medical providers. “We’re focusing on how we can help this child get better, so that he can be part of his community when he goes home,” said Amanda DeBlasio, his speech-language pathologist. "I am thankful every day I get to work with him." As Lisette, Hiroshy’s mom, tirelessly works with the Hospital to update her training and techniques related to her son’s TPN, central line and dressing changes, she is ready for the next phase. “He is the missing puzzle in our family,” said Lisette. Five weeks after his discharge from Blythedale Children’s Hospital, Hiroshy underwent successful intestinal transplant surgery at NewYork-Presbyterian Morgan Stanley Children’s Hospital.